Seasons change at The Trace Too – it’s one of the elements which keep Kylie Jaxxon’s homestead region so fresh and appealing, causing many of us to return there again and again through the year. This Christmas / New Year season is no different, and visitors dropping into the homestead region will find it snuggled under a blanket of snow, the surrounding mountains a salt and pepper mix of snowy folds and exposed rock. While the rural look and feel to the region which came with the autumn season remains, the landscape and buildings scattered across it have changed somewhat. The landing point offers a choice of snowy paths to follow; which you take is entirely up to you. Closest to the landing point sits a row of cottages and houses, a short distance from the local church. The houses lead the way to a stone bridge, deer foraging in the woods nearby as the path arches over the stonework of the bridge, crossing a frozen stream to turn back eastwards, taking the visitor to a beautiful appointed wood framed house. Further to the north sits a frozen lake with a little chalet on the shore, while to the north-east sits a cosy little group of shops offering more shelter from the cold. Everywhere the show lies crisp and deep – if not necessarily even, having drifted into mounds here and there as more falls from a sky tinged with grey cloud. The snow has piled high on rooftops as well, and hugs an A-frame house in its grasp, making a particularly picturesque setting among the fir trees to the east of the region. Kylie always makes great use of space within her region designs, and this winter offering is no exception. Houses, shops and cabins are positioned so that one can enjoy a good walk whilst exploring and gain the impression the region is bigger than expected. Options to simply sit and enjoy the landscape can also be found scattered around. For those looking for a wintry location to enjoy that’s not crowded-out with bits and bobs, or who want to grab some more scenic and seasonal photographs, The Trace Too is a perfect destination. On Monday, December 21st, the private space launch company SpaceX achieved a remarkable first in the annals of space flight: they successfully launched a payload carrying rocket into orbit, and then returned its first stage to a safe landing back on Earth, close to its original launch point. The Falcon 9 rocket, in its first launch since June 2015 when a fuel tank failure lead to the vehicle’s destruction together with the Dragon resupply vehicle it was lifting to the International Space Station, was lifting a total of 11 communications satellites into orbit on behalf of Orbcomm. The booster lifted-off from Florida’s Cape Canaveral Air Force Station at 20:29 EST on Monday, December 21st (01:29 UTC, Tuesday December 22nd). At 2 minutes 27 seconds into the flight, having pushed the vehicle through the densest part of the atmosphere, the first stage engines shut down, and shortly afterwards, the first and second stages separated, allowing the latter’s Merlin engine to ignite. As the second stage continued to accelerate up to deployment orbit, the first stage coasted upwards before using cold gas thrusters to effectively “flip” the booster around so it could use the first in a series of “boostback burns” of its main engines to slow itself down as well as pushing it back towards Cape Canaveral. With this completed, the booster used the cold gas thrusters to again flip itself over so it would be descending engines first towards the ground, performing two further “boostback burns” to control its descent before making a final engine burn during the last few dozen metres of the descent and deploying its 4 landing legs and steering vanes for a successful touch down some 10 minutes after lift-off, which was captured by cameras on the ground and aboard an observing helicopter. The SpaceX success came less than a month after Blue Origin, the private space company founded by Amazon billionaire Jeff Bezos, also landed the initial stage of their New Shephard launch system following a test launch. However, the latter is not intended to achieve orbital velocities at present, and so the booster stage – referred to as the “propulsion module” by Blue Origin – was not travelling nearly as fast as the Falcon 9 first stage, nor did it have to perform the complex “boostback” manoeuvres. In the meantime, the second stage continued upwards, successfully deploying the Orbcomm satellites into LEO – low Earth orbit, at around 630 kilometres (just under 400 miles) altitude. With this part of the mission completed, the second stage booster also re-ignited its main engine, allowing it to achieve a geostationary transfer orbit and coast phase. This was as important as the first stage landing because, while existing Falcon 9 rockets are capable of placing large payloads into geosynchronous equatorial orbit, some 36,000 km (22,000 miles) above the surface of the Earth, it has required the first stage of the rocket to do much more of the work, leaving it with insufficient fuel reserves to attempt a return to Earth and landing. The uprated second stage, tested as a part of this flight, alleviates the first stage of some of the booster phase work, allowing it to retain the fuel it needs to make a successful return to Earth. The overall hope with the upgraded Falcon 9 and the new landing facilities at Cape Canaveral, is that they will allow SpaceX to lower launch costs to the benefit of customers, and allow them to make more efficient use of their boosters rather than just tossing them away into the Atlantic or Pacific after a single use. However, even with this first successful landing, the company still has some significant hurdles to clear. One of these will be demonstrating it can refurbish used first stages at a fast enough pace to be able to maintain a launch cadence high enough to be attractive to commercial operators looking for launch opportunities, rather than risking them look to those companies able to offer a faster launch rate. Nevertheless, SpaceX’s achievement is clear, and after the disappointments in trying to recover the Falcon 9 first stage at sea (initially seen as a “safer” option due to the negligible risk of civilian injuries if anything went wrong when compared to returning a rocket to Earth near populated areas), deserves every congratulation. 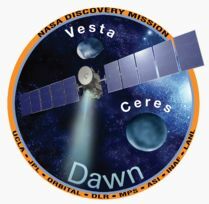 Dawn, the NASA / ESA joint mission currently mapping Ceres, one of the solar system’s three “protoplanets” located in the asteroid belt between the orbits of Mars and Jupiter, reached its lowest planned orbital altitude in early December, ready to start the final phase of its mission. The new orbit, just 385 km (230 miles) above Ceres mains the craft can image the surface at a resolution of 35 metres (120 feet) per pixel. Of particular interest to the science team has been determining the mysterious bright patches seen within the crater Occator during Dawn’s approach to Ceres and during its higher mapping orbits. While perhaps the largest found, the bright spots in Occator are not alone – around 130 bright spots have been located, almost all of them within Ceres’ craters, and analysis now shows that the material seems to be consistent with salts, such as sulfates, with silicate materials also very likely present.